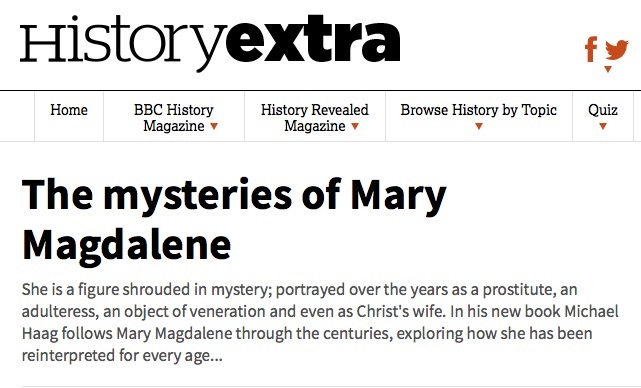 I have written a short article for the BBC History website about Mary Magdalene. BBC History magazine website screenshot. You can read the whole thing by going to the BBC History magazine site. 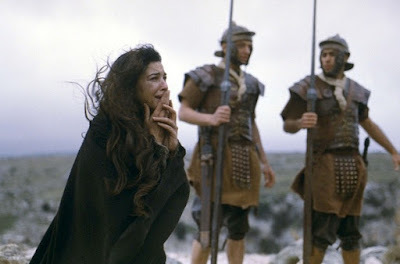 Monica Bellucci as Mary Magdalene in The Passion of Christ. 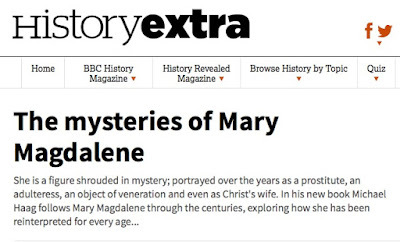 My article coincides with the broadcast today of Melvyn Bragg's programme about Mary Magdalene on BBC Radio 4. For more about my book The Quest for Mary Magdalene see here (British edition). And here (American edition). 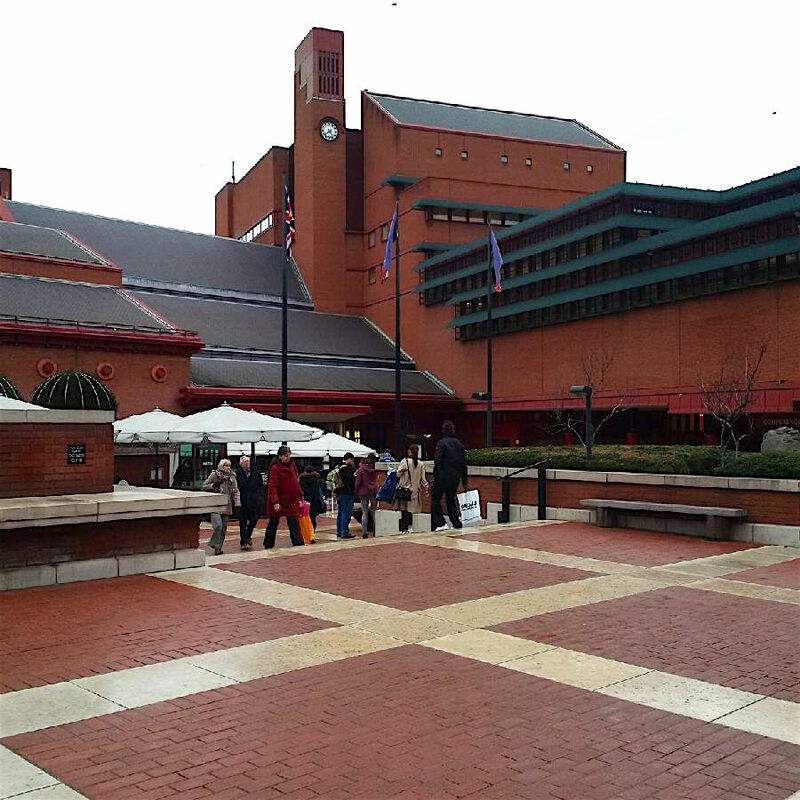 I went once again to the British Library today. It used to occupy the great domed Reading Room at the centre of the British Museum but in 1997 it moved into its own purpose-built premises on the north side of London's Euston Road. 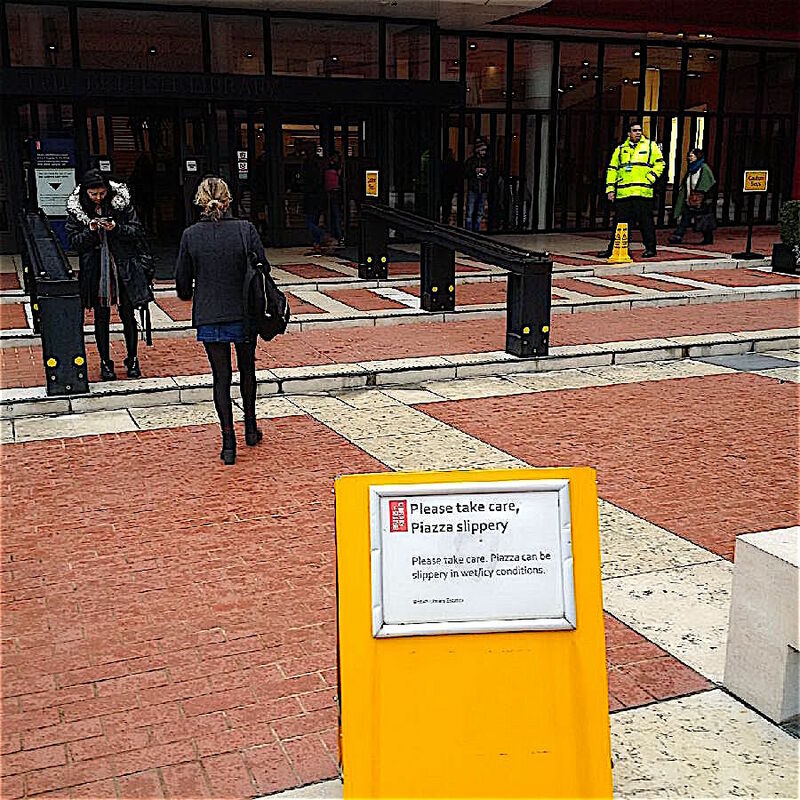 With St Pancras and King's Cross railway stations just to the east and Euston station to the west, I suppose I can be forgiven for thinking that the British Library looks like a station awaiting a train. As the mood and the weather takes me, it can also remind me of an incinerator. Nevertheless, inside it is a surprisingly congenial place and my experiences have always been good. The largest public building constructed in Britain during the twentieth century and the largest library in the world (over 170 million items in its catalogue), it manages to be marvellously user friendly, with an excellent online catalogue for use from afar and within, and a knowledgable, patient and helpful staff. But I am puzzled by the architect who devised what is sometimes called the concourse (that railway image again) or in a Florentine mood called the piazza. 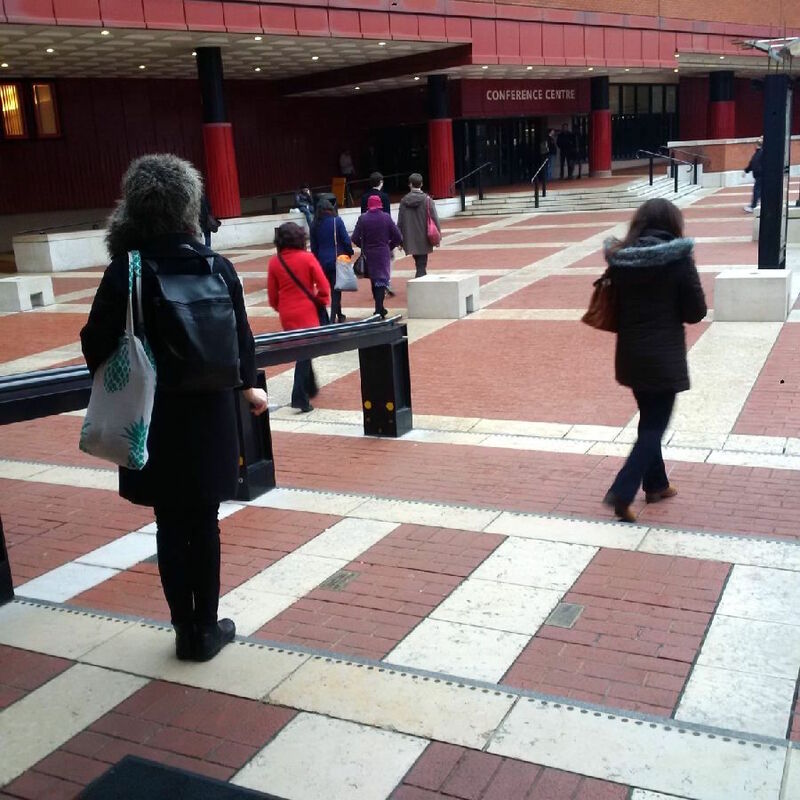 And who also devised the steps leading out from the Library onto the concourse-piazza. has been designed to cause you harm. 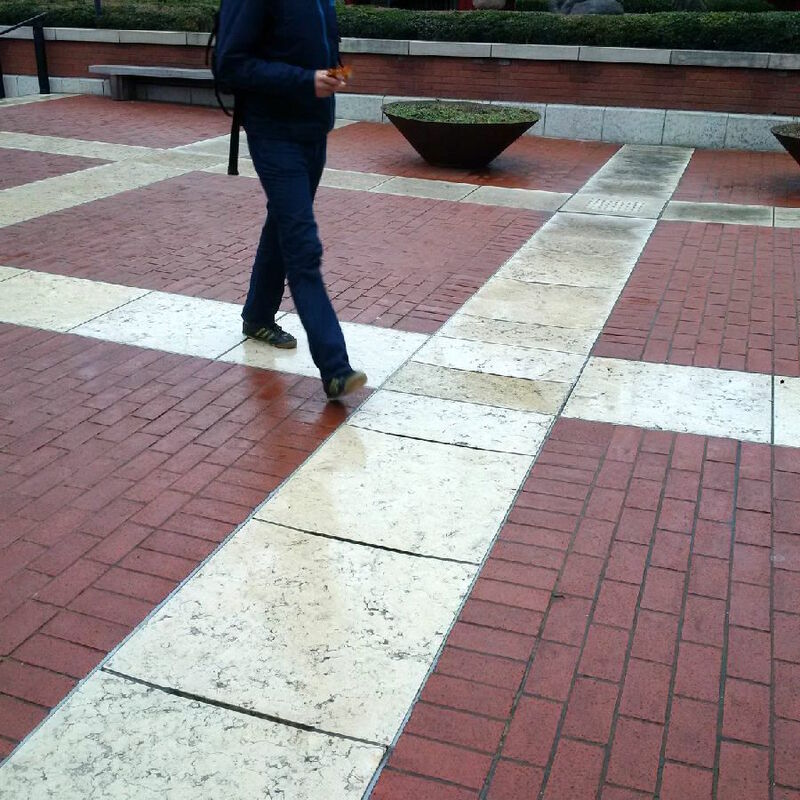 The Library itself is built almost entirely of brick and this suits our climate. London can be a cloudy place and liable to showers of rain. Brick works very well in such weather; on external walls its colours and texture play nicely in sun and shadow and wet (which concrete does not), while underfoot it does the same and also offers grip. 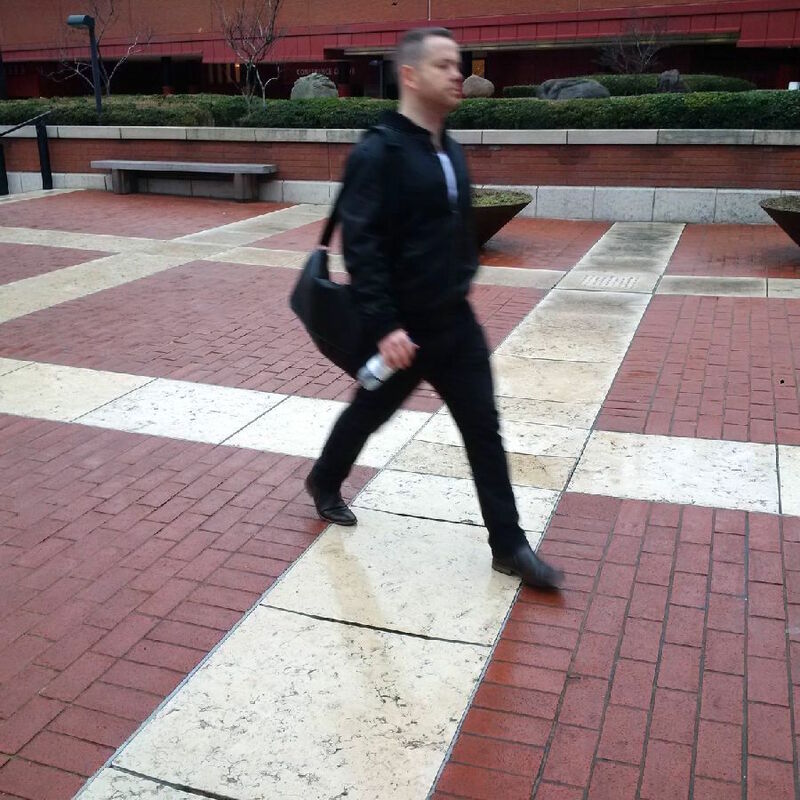 The mysery steps. Are they there or not? 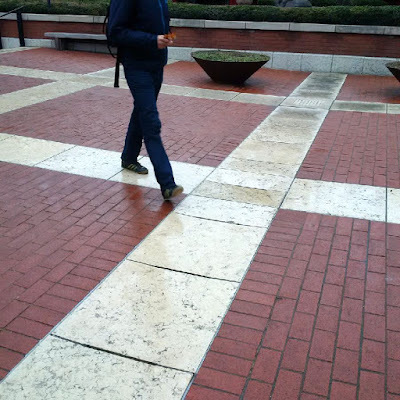 Yet it is precisely in the piazza that the brick is interrupted by patterns of smooth marble-like stone which is very slippery in the wet. 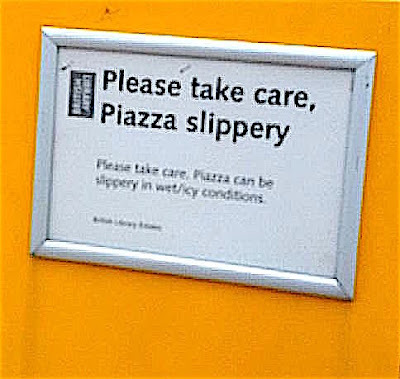 I noticed this in the rain some while ago and now I see that the British Library has noticed it too. They have had to put up signs everywhere warning that by walking across the piazza you are liable to slip, fall down, break a leg, crack your head open, or whatever, thanks to the thoughtlessness of the architects of the British Library. 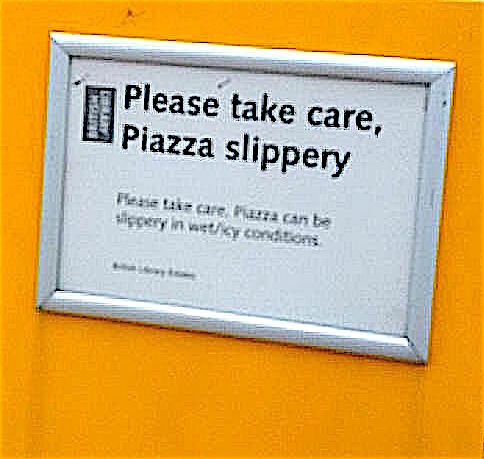 But is it just thoughtlessness or also a clever sort of stupidity that has designed the steps running from the entrance of the Library in such a way that you are not sure if there are any steps at all leading to the piazza? 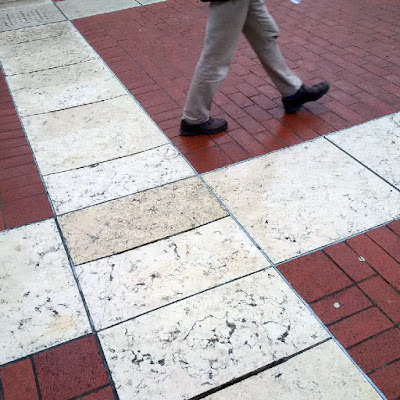 As the entire piazza is criss-crossed with white marble strips, so the steps, which mimic the pattern, fail to stand out. You never really know if your next step will be on the level or a drop, nor what the extent of the drop might be. 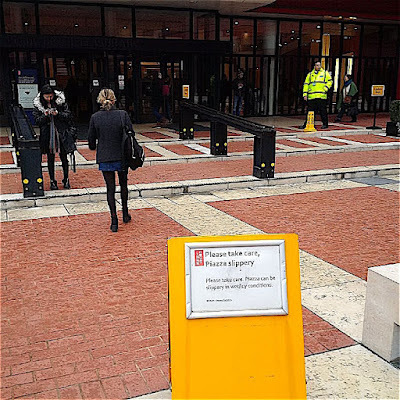 The British Library has woken up to this problem as well and has erected signs all along the width of the steps warning people that they are there. 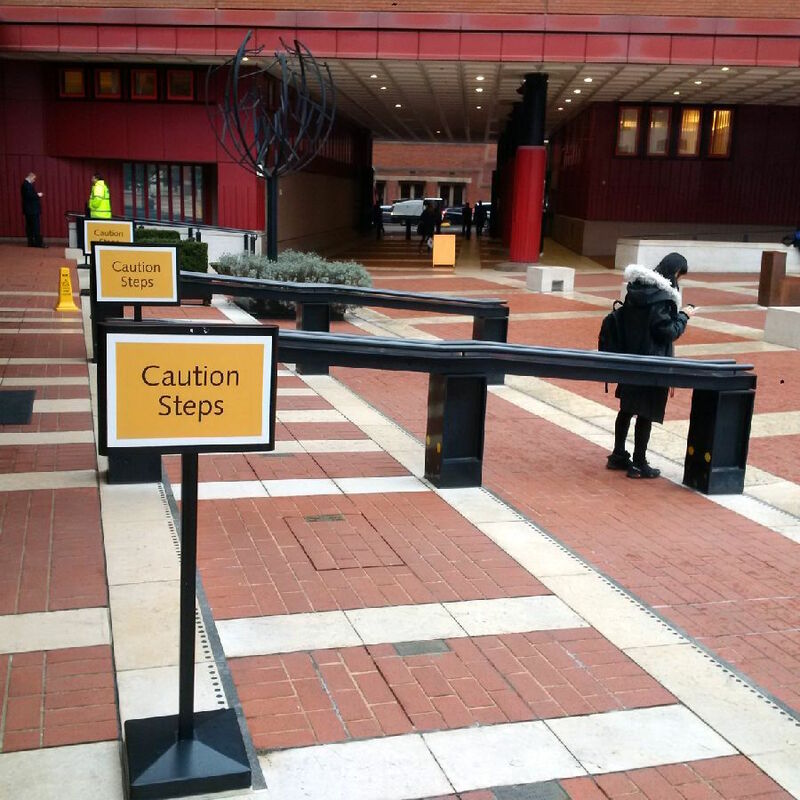 Imagine being the architect of a building whose piazza and entrance steps are so disfunctional that merely to walk upon their surfaces is dangerous and requires repeated warnings printed on bright yellow signs. Just the sort of architect, I guess, who would design the greatest Library in the world to look like an incinerator for burning books. 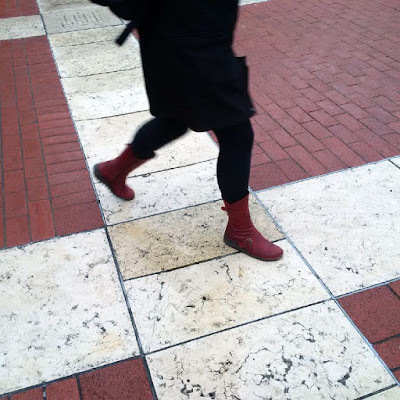 Walking on the slippery white stone bands. Publication date 17 March 2016. 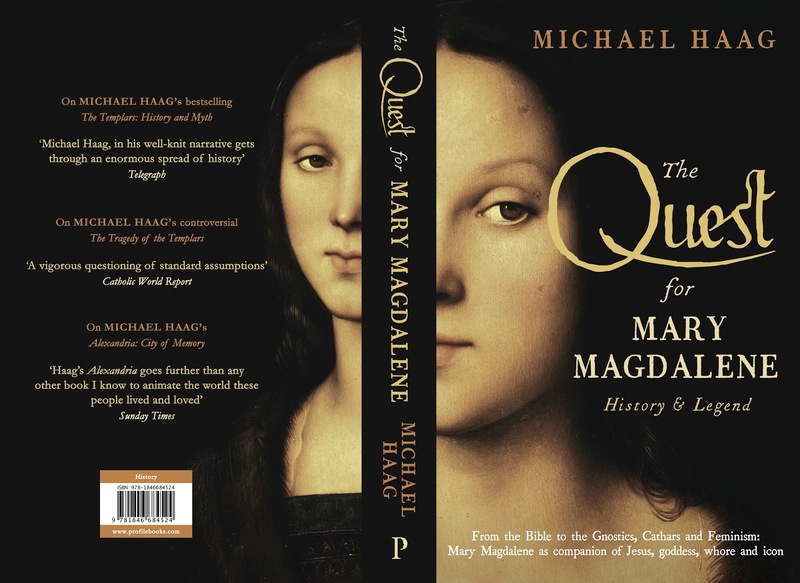 The Quest for Mary Magdalene went to press today and will be published in hardback by Profile Books in London on 17 March 2016, in time for Easter which in the Western Church falls on 27 March this year (and in the Orthodox churches on 31 April). Hardback jacket. Click to enlarge. 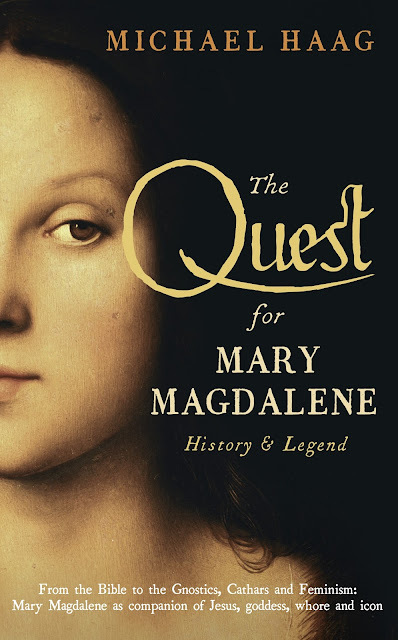 In the manner of a quest, this book follows Mary Magdalene through the centuries, explores how she has been reinterpreted for every age, and examines what she herself reveals about woman and man and the divine. It seeks the real Mary Magdalene in the New Testament and in the gnostic gospels where she is extolled as the chief disciple of Christ. 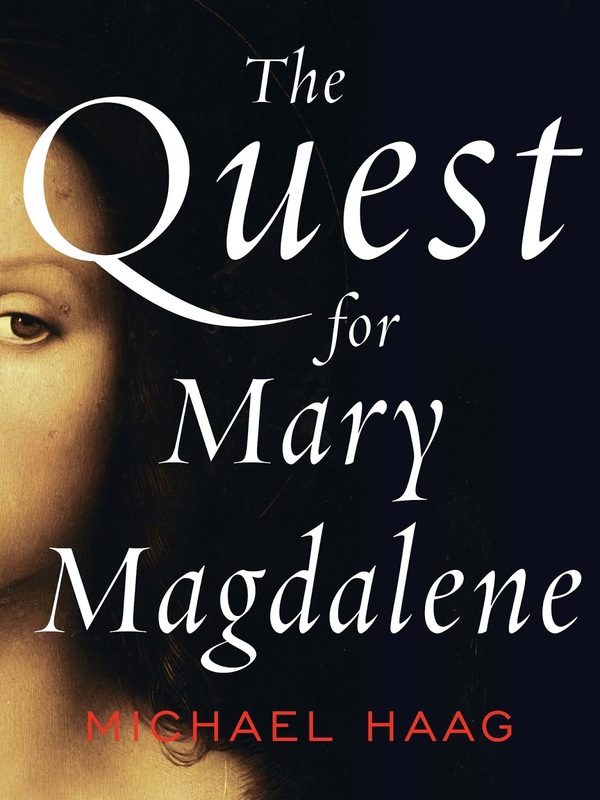 It investigates how and why the Church recast her as a fallen woman, it traces her story through the Renaissance when she became a goddess of beauty and love, and it looks at Mary Magdalene as the feminist icon she has become today. 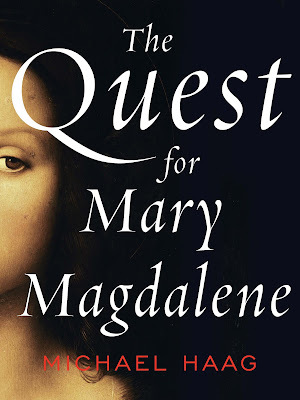 This is the American cover for The Quest for Mary Magdalene which will be published in paperback in May 2016 by HarperCollins in America.